Samsung has S-Pen since a long time for Galaxy Note phablets but it was only one or two years since the Samsung stylus works for Galaxy Note and other Samsung tablets. For the first time Apple introduced iPad Pro with support of stylus, the Apple Pencil. 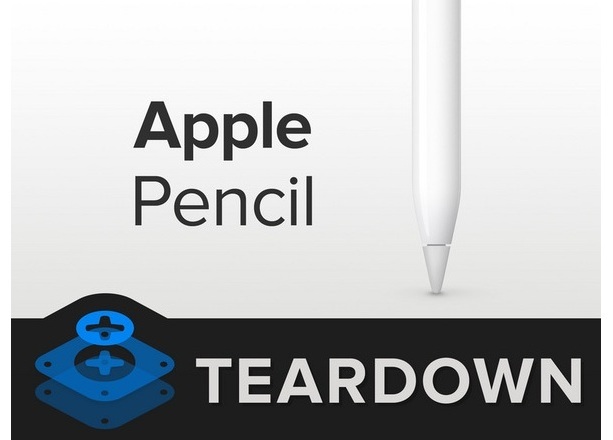 The $99 accessory has some nifty features and to know exactly what’s in it, we here have the Apple Pencil teardown by iFixit. The guys at iFixit have broken down Apple Pencil into pieces and uncovers what’s included in the $99 priced iPad Pro stylus. They found that it has logic board with 1 gram and on that board we have the ARM processor with Bluetooth Keen radio. There is also tube-molded compatible battery with 0.329 Wh and 3.82 volts. It’s not even 5% of iPhone 6S battery but it’s enough to provide 12 hours of usage on full charge for the Apple Pencil. And now for the iFixit repair-ability score. Generally with every tear down, iFixit team gives repair-ability score letting you know how easy it can be to repair the gadget. For Apple Pencil they have give 1/10 score which means it’s near to impossible to repair Apple Pencil. So that indirectly means that if you have any problem with your Apple Pencil, you just got to through it and purchase a new one, all at $99 cost.